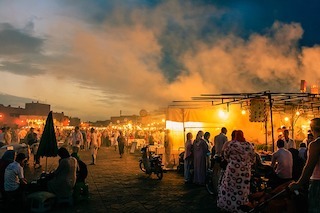 Travellers’ diarrhoea, caused by viruses, bacteria or protozoa, is the most common infection experienced by travellers, affect over 20 percent of those who travel to high-risk destinations of the world. These high-risk areas are mostly found in South and South East Asia. The condition occurs equally in male and female travellers and is more common in young adult travellers than in older ones. But now it seems that there many be other factors involved in one’s inclination towards or susceptibility to traveller’s diarrhoea – namely, blood type. A new study, published in The Journal of Clinical Investigation, has found that those with Type A blood are likely to be struck down with travellers’ diarrhoea sooner and more severely. These findings are significant for UK travellers, as nearly half of Brits have type A or AB blood. Researches gave more than 100 volunteers water containing enterotoxigenic E.coli. The results found that 81% of those with type A blood required medical attention for diarrhoea as a consequence, compared to just 56% in other blood types. The study concluded that this is due to the way E.coli releases a protein which latches onto the intestinal cells of those with blood type A.
Travellers’ diarrhoea is defined as the passing of three or more loose/watery bowel motions within a 24-hour period. It can be accompanied by other symptoms such as stomach cramps, nausea, vomiting and fever. Risk factors involved in travellers’ diarrhoea can include choice of eating place, season of travel, destination, diet, age and genetics. But despite being a common condition faced by many jet-setters, there are things you can do to significantly reduce your chances of contracting the disease. Choose safe food and water – Only drink sealed bottled water, or bring water to boil first. Peel all fruits and vegetables before consumption. The right medication can also offer a vital precautionary measure for travellers. Having access to effective travellers’ diarrhoea medication means that, should you fall victim to the infection, you are able to deal with your symptoms swiftly. Traveller’s diarrhoea treatment such as Ciprofloxacin and Azithromycin are available from Express Pharmacy. Planning your next trip? Find effective medication at Express Pharmacy to ensure you stay safe. Get in touch today by calling 0208 123 07 03 or by using our discreet Live Chat service. As the weather starts to warm up and the spring flowers begin to bloom, you may be finding yourself getting ready to travel again. But before you pull out the suitcases, it’s time to make a plan. Whether you are looking forward to the majestic Mount Kilimanjaro or the plains of Kenya for a wildlife safari, spend some time making the right preparations to make sure that your vacation is extra-special and not filled with nasty surprises. 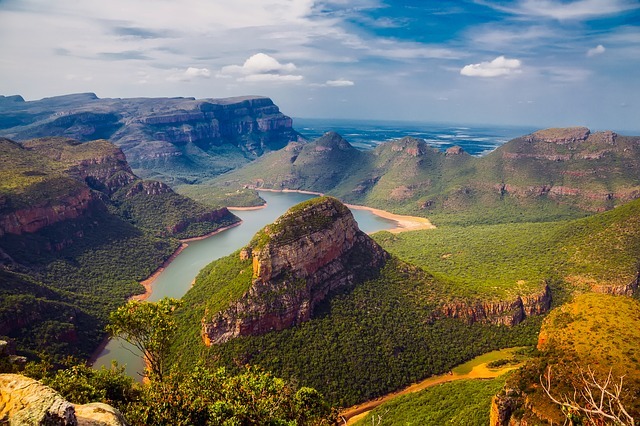 In this article, we’ll be looking at a general overview of Africa and what you need to know to make this holiday the trip of a lifetime. When and where are you visiting? Savannas – these are the vast grasslands that play host to some of the world’s most captivating animal species. Kenya is one such popular destination where you may wish to head out on safari to see giraffes, elephants, and wildebeest. If you were to continue south, you would enter the Ngorongoro Crater in Tanzania. This a vast area filled with wild animals and has been called Africa’s Eden. Nile River – you can take a historical trip down the Nile river (the world’s longest) and explore the area and times of the Pharaohs so many years ago. Make sure you stop and see Valley of the Kings and those epic burial pyramids. Lake Victoria – this large body of water is one of seven great lakes in Africa, and is a hotspot for tourists. Choose between a thatched-roof cottage or a private villa on one of the small islands. Either way, you will get to enjoy all that the beauty and thrills that the destination can offer you. Mount Kilimanjaro – if trekking up to see a dormant volcano and the highest point in Africa is your idea of a vacation, then Mount Kilimanjaro is just for you. This hike should be done with careful planning and consideration as it is not a simple day hike; it is suggested that you plan for a week to help acclimate your body to the changes in elevation and plan for weather. uShaka Marine World & South African Coastline – while this is not the quintessential African destination that comes up for most people, the southern part of Africa offers many different holiday experiences. Children and adults alike will love the large marine park as well as the gorgeous views of the Indian Ocean that the South African coastline can bring. When visiting Africa, it is crucial to know where and when you are planning a trip because packing for a holiday in Africa is a more complicated affair than you might think, given that the climate can vary dramatically from region to region. Africa has two seasons, instead of the four we are familiar with in the temperate areas of the Northern hemisphere. They are the dry and rainy seasons. No, you probably won’t need snow boots in May & June, but visiting the northern, eastern, and western side of Africa means that you will almost certainly be rained upon every single day during certain months of the year. If you are visiting Africa in July, you can expect hot and dry weather with extreme temperatures reaching 47 degrees Celsius or 117 F with the night temperatures dipping to -4 degrees Celsius. Holidaying in some parts of Africa can be quite different from a city break or even a rural retreat in Europe. 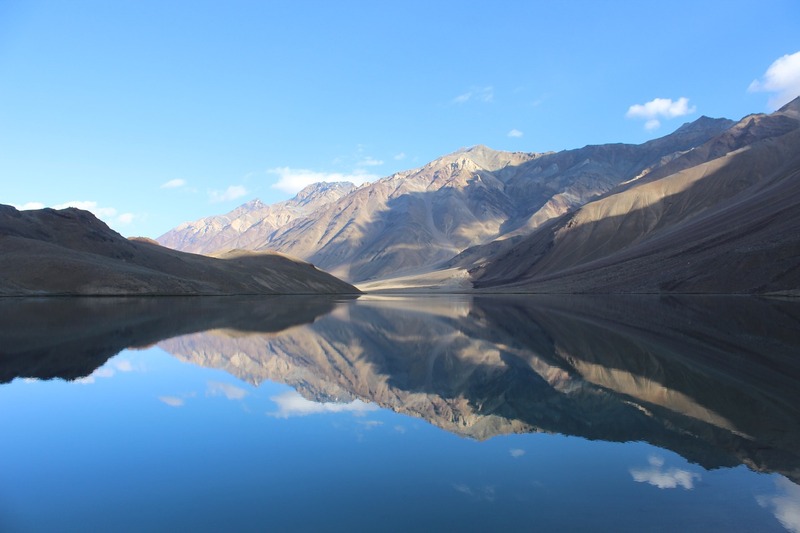 Due to the sheer scale of the continent and the vast unpopulated spaces in many countries, some locations - such as safari holidays - can take you to extremely remote places. If an authentic expedition or adventure holiday is what you are seeking, be prepared for periods of time without Internet, phone signal or even electricity. In the first instance, you may wish to check with your phone’s internet provider if your contract includes coverage for the country that you’re visiting. When you consider packing clothing for your trip, there are many considerations. It is good to know what your plans entail so you can make the right decisions. If you’re hiking up a mountain, you may want to wear something more than a t-shirt and shorts. The hot days can turn into a cool evening very quickly, so remember to pack a warm sweatshirt or jacket. A hat is very helpful to shade yourself from the hot sun and can also help prevent a nasty sunburn. Cultural considerations are also important when visiting local areas in Africa. Women may want to pack long skirts or have a sarong ready to cover up bare shoulders depending on the region you are visiting. A head covering is also important if you’re planning to visit local mosques or areas where cultural or religious traditions may differ from your own. Always remember that technology can take on different meanings in different countries of the world. On your packing list, make sure you get a few electrical converters for your electronic equipment. Always get the ones that have surge protectors in them; the electricity output can differ from place to place, and you might just get a nasty surprise and shock when you plug your electronics into the outlet. 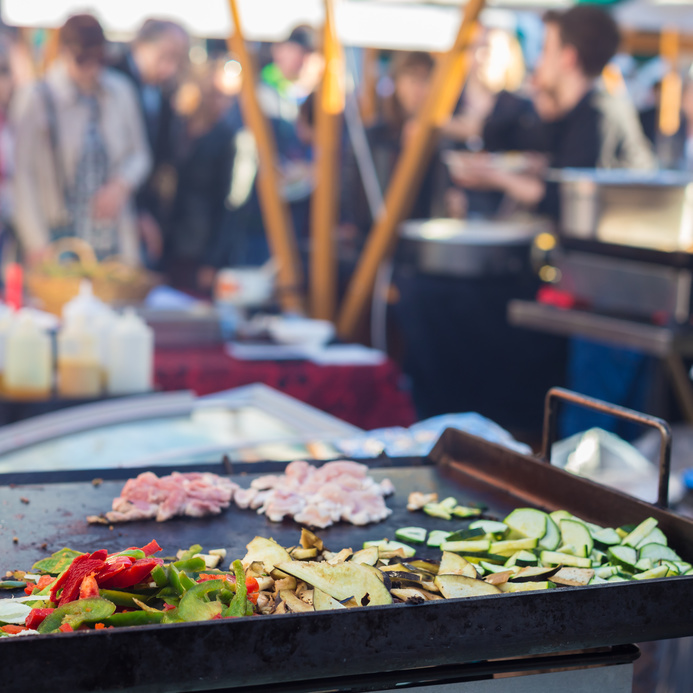 Holidaying in a new area might conjure up visions of new delectable treats but, like many parts of the world, you should be cautious about the food that you try in Africa - particularly street food. Nothing can ruin a holiday faster than an upset stomach or food poisoning, so make sure you are extra careful about what you choose to eat. Fresh fruit should only be eaten if you can peel it such as bananas and mangoes. Avoid fresh salad items like lettuce, tomatoes, and celery if you cannot be confident that they have been cleaned properly. Washing salad in dirty water is a prime cause of water-borne diseases. Dry packaged foods are usually safe as long as handled appropriately when opened. 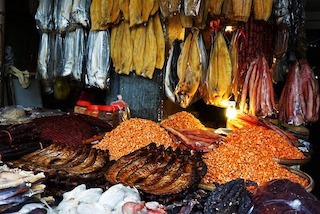 Be very cautious about street vendors as they may not have proper food-handling and refrigeration techniques. When on safari, avoid bushmeat (a wild game that is unknown to you). This also means no adventurous eating of bats, rodents or monkeys. Living in an industrialised city has many luxuries. Typically, most people in the UK don’t need to worry about the safety of the drinking water from the tap. However, this cannot be assured abroad - as the water from the tap may not be clean. The same also applies when brushing teeth and showering. Chlorinated and filtered water rarely comes out of the tap in many remote or undeveloped regions of Africa. Freshwater lakes and streams may carry schistosomiasis, a parasitic flatworm, that can cause many stomach complaints and an itchy rash. It is worth remembering that the same rivers and lakes that is used for drinking water may also be used for bathing and laundering clothes. Where sanitation is poor, there is also a chance of waste making its way into the water. So remember: if it goes anywhere near your mouth, it must be clean and safe for you. Here are some other extra tips to quench your thirst. Bottled or canned drinks are usually considered safe. Use bottled water for drinking and brushing your teeth. Avoid ice cubes in your drinks unless you have seen the water poured from a bottle before freezing. Alcoholic beverages should only be served from sealed containers or well-known bartenders to ensure that you are drinking what is listed on the bottle. Be careful when drinking fresh juices as the fruit and juicing equipment may have been washed with unclean water. Pasteurised milk that is sealed is safe to drink. Avoid unpasteurised or fresh milk. Coffee drinkers beware! While hot coffee made with clean water is fine, be very careful about adding fresh cream. Try not to splash water into your mouth when showering or bathing. After a long day’s travel, you’ll be wanting to find a relaxing bed to stretch out and get some rest. But before you get that much-needed sleep, check to see if you should be sleeping under a mosquito net. According to the Against Malaria Foundation, mosquitos that carry malaria bite most frequently between 10pm and 2am. 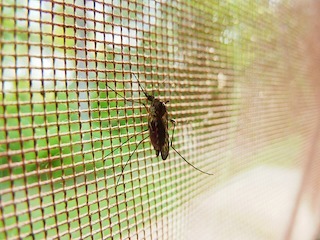 The mosquito net should be treated with Permethrin that will kill the bugs as well as protect you from the pests. Bug Repellant is also another way to protect yourself from mosquitoes and flies. Many travellers choose a product with DEET in it – ranging from 7% for children and all the way up to 50% for the most adventurous travellers. There are also DEET-free options using Lemon Eucalyptus oil that can be purchased. No one wants to get bitten by a bug, so using the highest level of DEET protection may seem an obvious choice. But remember, DEET is a potent and toxic chemical. It can erode plastic coatings on clothing and watches and is harmful to breathe in – you may be coughing and feel like your lungs are on fire if you inhale it in. Your health is one of the most important priorities when planning a trip to Africa, and while you are planning your trip, it is a great time to stop and check your immunisations. The Centre for Disease Control recommends that everyone who visits other countries to have the standard childhood vaccines and ensure that no boosters are missed. These will include the DTaP, MMR & shingles, Polio, Pneumonia, Meningococcal, and HPV vaccines. As Thomas Fuller so poignantly stated back in the 1800s, preventing disease is very important to your health. Because of this, when planning your trip to Africa, you should sit down with your GP, pharmacist or travel clinician and discuss which preventive and prophylactic medications you are going to need for your trip. Remember those mosquitos that the nets and the bug spray help to deter? While those are extremely important and should be used by everyone, you still may want to consider taking oral medication to help prevent malaria. The disease of malaria is carried by mosquitoes, but only a particular type of mosquito. According to the World Health Organization, the Female Anopheles mosquito acquires the parasite Plasmodium when she bites people to get blood to feed her eggs. Then when she bites again (after being infected), the parasites are put into the person’s blood supply. Her bite is not like the annoying mosquito that is itchy and welted-up; no, her bite is a stealthy bite that doesn’t leave a mark. Because the Female Anopheles bites in the middle of the night, most people do not even know that they have been bitten until a 10-14 days later when the first symptoms start to appear. These can include fever, headache, severe chills, and vomiting. The parasites can also be deadly as they kill red blood cells and then clog up the blood supply to the brain and vital organs (such as the liver or heart). You should be concerned about malaria if you are visiting parts of Africa, including Chad, Cameroon, Congo, Ghana, and Kenya. Take some time and look at a malaria countries map and see if your travels intersect any of these areas. The risk in particular regions can vary over time and so consulting the WHO website is a good starting point. Some areas are worse than others, but, for example, the high prevalence of malaria in Ethiopia shows that it is one of the countries in which there is a heightened risk of catching the disease as a traveller. It is also important to note that if you visit an endemic malaria area, some hospitals will not let you donate blood for up to three years after visiting these areas. Also, if by some terrible chance you do get malaria, you will also not be able to donate blood to those in need. Killing the Plasmodium parasite in the bloodstream can also be performed by anti-malarial medications. There are three specific medications that most people choose from to take for their anti-malarial needs. These are Doxycycline, Malarone (atovaquone and proguanil hydrochloride), Lariam (mefloquine). Some medicines are taken daily, and others are taken once a week. They all have positive and negative things that you should be aware of; so it is vital to speak with your pharmacist, travel clinician or GP about which one is best for you. Your medical history, current medications, planned activities, and specifically, where you will be going all determine which medication you should take. An easy way to help understand this information is the website Fit for Travel; it can help you look which medications may fit the best for you. In some countries, it’s called Montezuma’s Revenge but the more common term for loose stools and stomach issues while abroad is Traveller’s Diarrhoea. But if you get it, you’ll just call it misery. A miserable time of living on the porcelain throne (toilet) and wishing your stomach would just calm down. 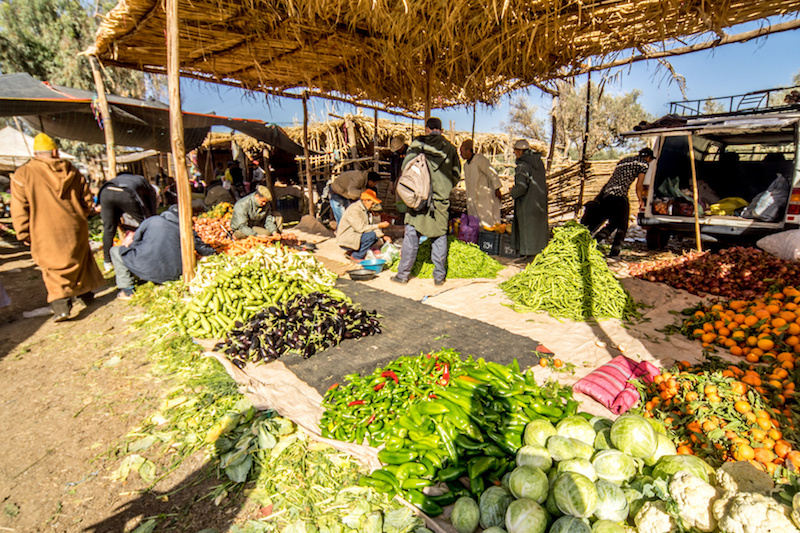 Food and water-borne diseases can easily be obtained when travelling to different countries as foods may not be cooked as thoroughly as they should be before eating. Also, if cups and plates that are not cleaned properly, or if the water is not purified correctly, it can cause you to be ill. The bacteria that cause this can be E-coli, Salmonella, or even parasites such a Giardia. Traveller’s diarrhoea is different than just an upset stomach from too many spicy foods; it is three or more watery stools in 24 hours or less. You can also have nausea, vomiting, stomach cramps, and many sudden urges to have a bowel movement. Typically, these symptoms are mild-moderate and can last up to five days without treatment. If it lasts more than 5 days, or if you cannot function with the symptoms that are getting worse, then it becomes more severe. First of all, if you find yourself in this unfortunate position, the primary treatment is treating the possible dehydration. Clear fluids, hydrating drinks (such as Gatorade or Powerade-like drinks that have electrolytes and rehydration salts in them) are the best thing for you. You do need to drink lots and lots of them. Not only with the fluids keep you from getting dehydrated, but they also help to flush out the bacteria. Secondly, for those who are having the stomach cramping pains, some over-the-counter medications can help calm your stomach down. These would include Loperamide (Immodium) and Bismuth Subsalicylate (Pepto-Bismol). Lastly, there are prescription medicines that your GP or pharmacist may prescribe for you in case you do have worsening symptoms. These would be Lomotil (diphenoxylate and atropine), Azithromycin, and Ciprofloxacin. Lomotil is a stronger medication that specifically helps the colon spasms to calm down; it contains atropine, which is a controlled substance in some areas, so to obtain this, your GP will need to prescribe it. The other medications, Azithromycin and Ciprofloxacin, are antibiotics that will fight against the bacteria that causes the traveller’s diarrhoea. These medications are not taken like preventative medications, but should only be taken when your GP instructs you to – typically, this is if specific symptoms appear – so, it is important to write down the instructions and put them with the medications so if you do get sick, you will know what you should take. Travelling to Africa can be the trip of a lifetime with the right preparations. The more you can plan in advance for your time away, the more enjoyable it can be. So get out that packing list and start checking the things off as you get them done. 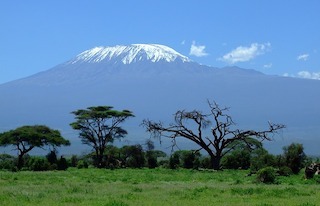 The mountain of Kilimanjaro and the African safari animals are waiting for you! Bon Voyage! Where Are You Most Likely to Fall Victim to Traveller’s Diarrhoea? As spring gets underway and we start looking forward to summer, many of us will be taking the time to seek out the perfect summer getaway. What with booking hotels, flights and activities, you probably won’t spend too much time considering health factors like traveller’s diarrhoea — but these are the factors which can seriously impact on your impending trip. Traveller’s diarrhoea is one of the most common infections seen in holidaymakers and can put a real dampener on your summer trip abroad. Knowing how to spot the signs of the condition and treat it effectively is hugely important, but it’s also important to take it into consideration from the point of choosing a destination. Where are you most likely to contract traveller’s diarrhoea? Although the extent and severity of traveller’s diarrhoea is largely dependent on the season of travel and your own actions when abroad, heading to certain destinations can make you far more likely to develop the condition. Low risk destinations include the USA, Canada and New Zealand, as well as most countries in Northern and Western Europe. These countries usually practice high food hygiene standards, which can significantly limit the risk of spreading the infection. In India, common cases of traveller’s diarrhoea are informally referred to as ‘Delhi Belly’. How is the condition contracted? Traveller’s diarrhoea is most commonly contracted through the consumption of faecally contaminated food and water, usually as the result of an infected person handling food after using the toilet without thoroughly washing their hands. These actions encourage the spread of bacteria like E.Coli and Salmonella, which are common causes of the condition. These can also be spread through the use of contaminated cups and plates. Traveller’s diarrhoea is also more common in younger travellers. What are the warning signs of traveller’s diarrhoea? Whether you travel to an intermediate or high-risk area, you need to know the warning signs to look out for. The nature of the condition means that the initial symptoms are usually quite sudden, so it’s important to pay attention to your bathroom habits while you are away. The condition is defined by the passing of three or more loose/watery bowel movements within a 24-hour period. It usually occurs within the first week of travel, so be extra vigilant during this time, but remember that it is possible to contract the infection more than once in a single holiday. Other symptoms to watch out for include bloating, vomiting, fever and abdominal cramps. To prevent an onset of traveller’s diarrhoea, try to avoid food and drink items such as undercooked or raw meat, raw fruit and vegetables, unpasteurised milk and tap water. In the UK we drink tap water without thinking, but in higher risk areas the water may be contaminated. It is best to either boil tap water before using, or to stick to sealed bottled water. In case you do contract traveller’s diarrhoea while away, you should be prepared with effective antibiotic treatment to speed up your recovery. Azithromycin is the recommended, highly rated treatment for bacterial traveller’s diarrhoea, and it is available from Express Pharmacy. For further information about our services, call our team today on 0208 123 07 03 or leave a query on our discreet Live Chat. I am going to the Dominican republic and I am worried travellers diarrhoea will spoil my holiday, I have had it 3 or 4 times in the past while on hoilday. I am also worried that anti biotics may reduce my gut flora making the problem worse. I have asked my GP for stand by anti biotics and if she refuses I am considering buying them before I go . Am I being over anxious. What Does the Winter Olympics Teach Us About Traveller’s Diarrhoea? With significant numbers of people suffering prior to the Winter Olympics, it’s vital you know how to avoid this unpleasant and potentially dangerous problem. If you were as gripped by the recent Winter Olympics as we were then you’ll now know your skeleton from your luge and your half pipe from your curling. 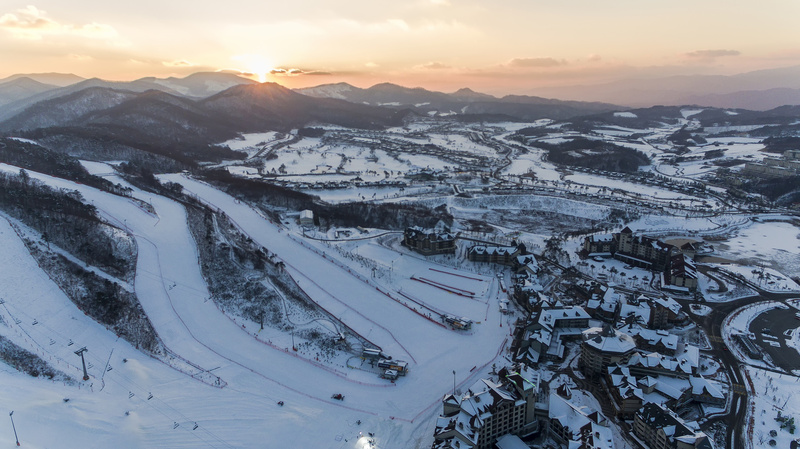 The Games were held in Pyeongchang County, Gangwon Province in South Korea, and almost 3,000 athletes from 92 nations participated in more than 100 events. However, it wasn’t all fun and games when it came to the health of those involved. Ahead of the events, a serious case of traveller’s diarrhoea led to dozens of members of the organization being quarantined, and the South Korean military being deployed. In total, around 1,200 members of the security staff were quarantined and tested for norovirus. The Korea Centre for Disease Control (KCDC) stated that it suspected food and drink were to blame for the infection. Here we have an example of just how unpleasant traveller’s diarrhoea can be. Traveller’s diarrhoea is a harmful, potentially dangerous condition which requires constant care and vigilance if it is going to be avoided and treated. So if you’re planning to go abroad this spring, here is the information you need in order to stay safe and avoid developing traveller’s diarrhoea. What do you need to know about traveller’s diarrhoea? Most cases of traveller’s diarrhoea occur within the first week of your travels, and thankfully the majority of cases are mild and resolve themselves within 3 to 5 days. However, sometimes additional symptoms occur which make traveller’s diarrhoea more serious, meaning treatment will be required. Traveller’s diarrhoea can be defined as passing three or more loose bowel movements within a 24 hour period. It can be accompanied by any of the following symptoms: fever, nausea, vomiting, abdominal pain or cramps and the urgent need to pass a bowel movement. The condition can be caused by a variety of different sources, such as bacteria like E.coli, parasites like Giardia or viruses like norovirus. All of these organisms are spread through consuming contaminated food and water, or through contact between the mouth and contaminated crockery, cutlery or hands. Preventing the onset of traveller’s diarrhoea is largely dependent on practicing good hand hygiene and effective food and water precautions. You should wash your hands thoroughly before eating or handling food, and after using the toilet. You should also avoid ice in drinks, food that has been kept warm for an extended period of time, raw food, dairy products, unbottled water and food from street vendors. Instead, opt for consuming packaged and sealed food, sterile (pre-boiled) and sealed water from a bottle, canned food and freshly cooked food which is piping hot. If you do contract traveller’s diarrhoea, rest and hydration are key to treating it effectively. This is particularly true for young children. Clear fluids such as sterile water, diluted fruit juices or oral rehydration solutions should be consumed regularly. There is also effective medication available for traveller’s diarrhoea, such as Azithromycin. This is a kind of antibiotic used to treat cases of bacterial traveller’s diarrhoea, specifically for travellers who have journeyed to South Asia or South East Asia, such as India or Thailand respectively. One tablet, taken daily for a three day period, can significantly help to treat a case of traveller’s diarrhoea quickly, helping the sufferer to become well again in as little time as possible. 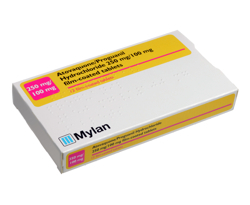 Azithromycin is available from Express Pharmacy. For more guidance, support and treatment regarding a wide variety of common health concerns, contact Express Pharmacy today. Call us on 0208 123 07 03 or use our discreet online live chat service. Whether you are travelling to an exotic destination or holidaying on the continent, going overseas is an exciting time for all the family. Not to mention a chance to create lots of wonderful memories that you can look back on for years to come. Unfortunately, travelling abroad isn’t all fun and games, and for many people that trip to somewhere new can come with the odd health problem. As the name suggests, travellers’ diarrhoea is one condition that is common among tourists, and it is particularly rife when visiting developing countries like Asia, Africa, the Middle East and Latin America. In fact, up to 50% of travellers spending two weeks or more in these countries are affected by the condition. As with any travel-related health issue, it is important to understand the nature of the problem, how to prevent it and the treatments to take if illness does strike. Here we offer an essential guide to travellers’ diarrhoea so you can be prepared for your upcoming trip. Travellers’ diarrhoea is the frequent passing of watery or loose stools. The condition is commonly caused by the presence of the bacteria E.coli as a result of the unsanitary handling of food and drink. E.coli is easily transmitted and is extremely contagious if an individual handling food has failed to wash their hands after using the bathroom. The infection mainly affects the stomach and intestines, leaving sufferers frequently passing loose stools and often experiencing symptoms such as fever, nausea, vomiting, bloating, discomfort, weakness, cramps, painful gas and appetite loss. With this particular condition it is important to make sure that travellers’ diarrhoea is what you have. Diarrhoea can be a symptom of numerous travel-related illnesses – including malaria – so seeking medical assistance is important if you find that the problem persists for more than 24 hours. You should also look out for the presence of blood in your stools, as this can be an indication of something more serious. Taking extra care with food and drink is a vital part of preventing travellers’ diarrhoea. Maintaining a good level of personal hygiene will help to limit exposure to E.coli, so care should be taken when cleaning utensils, plates and cups. You should also take the time to wash your hands thoroughly before eating and after going to the toilet. When visiting developing countries, hand washing facilities may not be as readily available as they are at home, so make sure to keep alcohol rub and wipes to hand at all times. Avoiding certain food and drink items can also minimise the risk of contracting travellers’ diarrhoea. It is best to stay clear of tap water (including ice in drinks), raw or uncooked foods, street food and dairy products. Staying hydrated is an important step in treating travellers’ diarrhoea, particularly if the individual affected is a young child. Be sure that any fluids consumed are safe, and utilise these in conjunction with oral rehydration salts to re-establish the fluids lost. Being prepared with suitable medication for the treatment of travellers’ diarrhoea is also vital to the successful management of symptoms. Stock up on medication to deal with any potential illnesses, including travellers’ diarrhoea, before you travel as the language barrier and location may make it difficult or even impossible for you to get the treatment you need whilst you are away. Here at Express Pharmacy we stock Ciprofloxacin and Azithromycin, both effective medications for the treatment of travellers’ diarrhoea.